This is a portrait of an actor shot backstage while using a computer reflecting a soft light. It was a quiet moment contrasting with the excitement happening all around during the “Zangoora” show at “Kingdom of Dreams”. 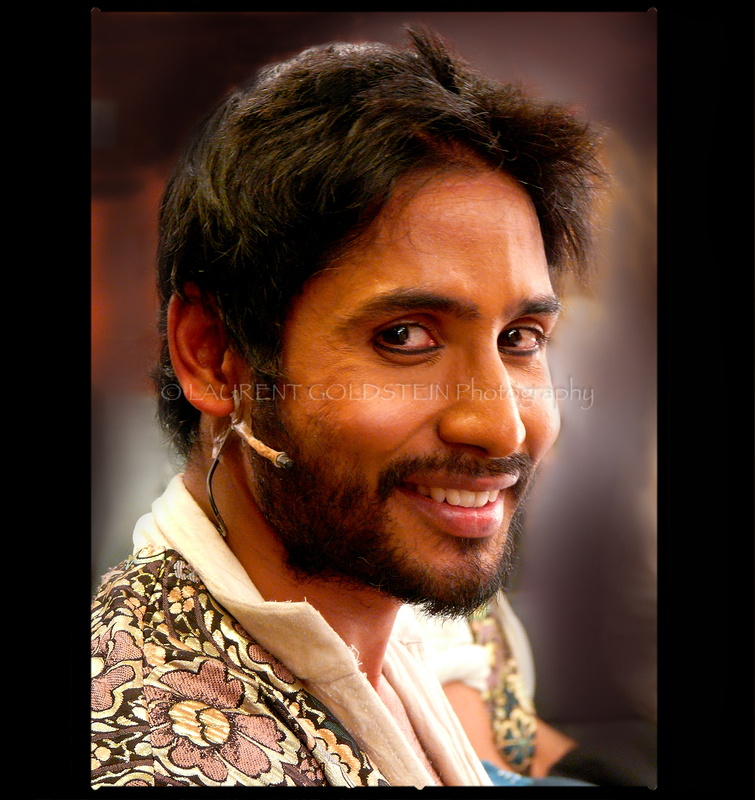 This was shot backstage at Kingdom of Dreams a few minutes before a performance of “Zangoora, the Gypsy Prince”. The dancers and aerialists were ajusting their hair style and finishing their make-up. Lynn Mascarenhas who stands on the right is also acting in the movie we were making, she is an amazing artist, she is also a physiotherapist during daytime and manages to combine those two jobs in a brilliant way. 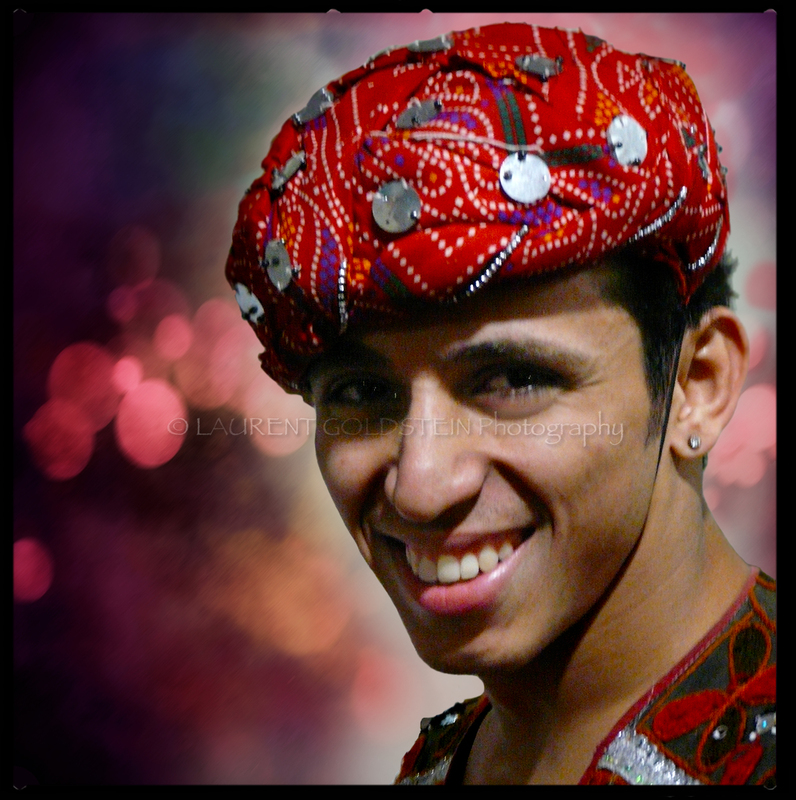 This is a portrait of Kapil Dhaundiyal who is a dancer at Kingdom of Dreams. 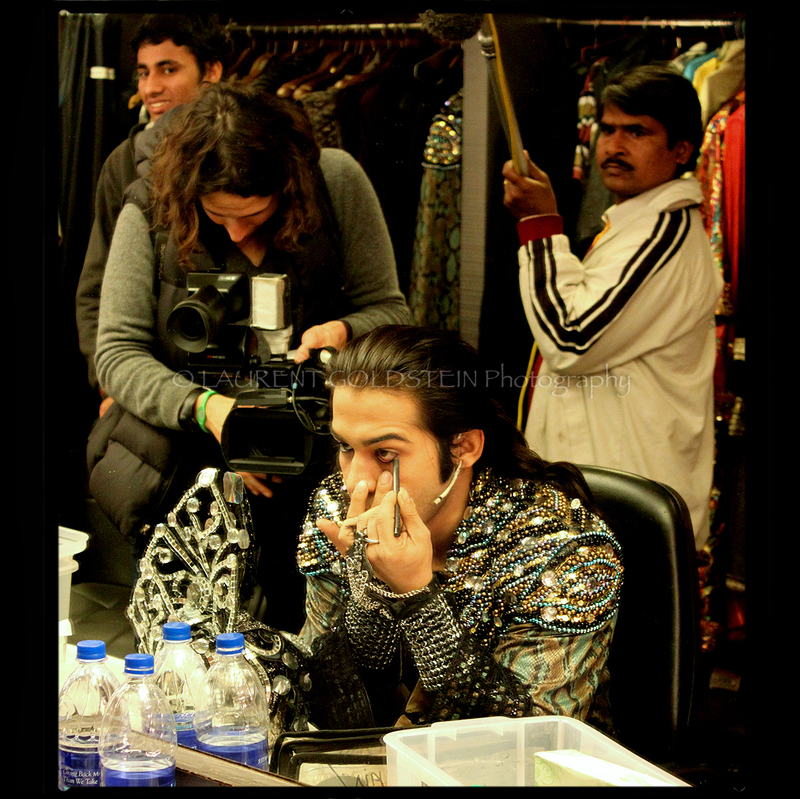 I took this picture as he was going on stage in order to perform in “Zangoora, the Gypsy Prince”. During the film shoot we used to leave all our gear on his make-up table and I have to admit that we were invading his space but he never complained about it. On the contrary he was always smiling with a contagious happiness. He is a great entertainer who is taking the stage with an amazing energy. “Think photographs should be provocative and not tell you what you already know. It takes no great powers or magic to reproduce somebody’s face in a photograph. This is a picture of Manoj Rajput who is playing Todarmal in “Zangoora, the Gypsy Prince”. 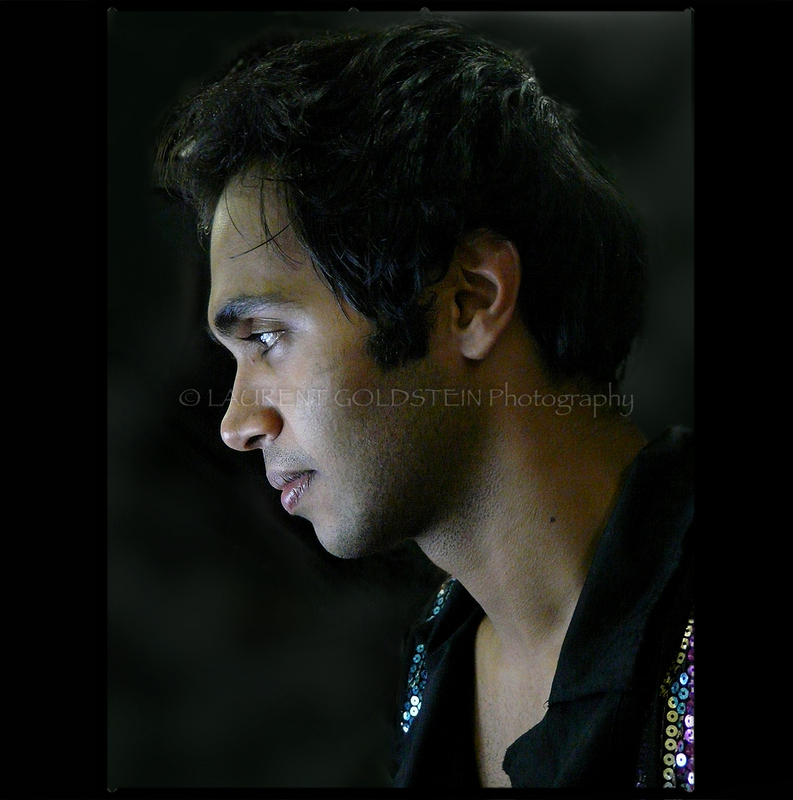 This amazing actor was kind enough to strike several poses in front of my camera in his green room a few minutes before performing on the stage at Kingdom of Dreams. This series of pictures was done during the last days of the film shoot as I was too busy before and I couldn’t leave without catching the wonderful energy of this real entertainer. “When I say I want to photograph someone, what it really means is that I’d like to know them. This a portrait of MD. Sahidur Rahaman in his green room before being on stage at Kingdom of Dreams. 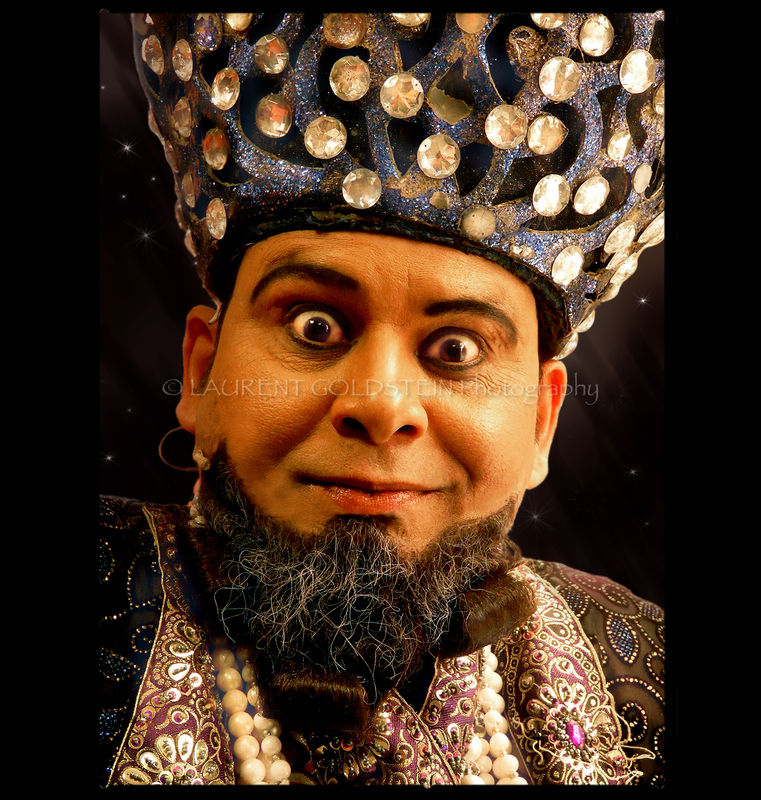 He is performing Damaru in “Zangoora, the Gypsy Prince”. We did several series of pictures while we were shooting the movie, he told me that he is a photographer as well. “To be a star is to own the world and all the people in it. 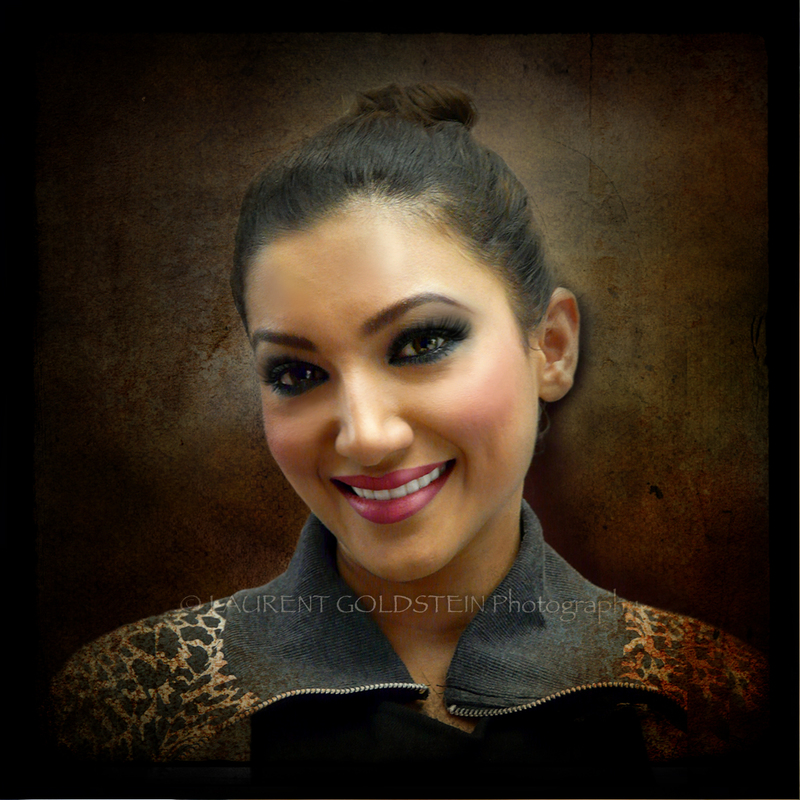 This is a portrait of Bollywood actress Gauhar Khan shot in her green room after a performance on stage. Gauhar is known for her prominent role in “Rocket Singh: Salesman of the Year” (2009) and for the item song “Parda Parda” in “Once Upon a Time in Mumbaai” (2010). In 2009 she participated in a popular celebrity dance show, ” Jhalak Dikhhla Jaa” where she ended up as the runner up. Since 2010, she joined the cast of the Bollywood musical, “Zangoora, The Gypsy Prince” at Kingdom of Dreams. She is also featuring with her sister Nigaar in the popular TV show “The Khan Sisters” which started in 2011. Recently we have been working together and I was surprised by the absolute professionalism and the positive attitude and energy she carries with herself. “The joy we get as actors is out of transforming ourselves into something that’s not necessarily anything true to ourselves. This picture was shot in one of the green rooms of Kingdom of Dreams.